The 2015 session of the Connecticut General Assembly is now history, but a special session has been called to take care of the essential financial matters that were not acted on before the session had to adjourn at midnight on June 3. The session was called to order just after the regular session adjourned and was then immediately recessed until all the financial matters are in a form all sides agree is the best they can do. The problem is that there is not enough money to go around without substantially raising taxes. Governor Malloy submitted a proposed budget that would have drawn money out of many special funds to help balance the general fund, but the advocates for the special funds lobbied long and hard to protect funds that have been dedicated for specific purposes from being siphoned off into the general fund. From the Grange’s point of view, along with many other organizations, one of the biggest raids proposed was to transfer of the funds from the Community Investment Act to the general fund. The Community Investment Act is funded by a surcharge on every deed, mortgage, release or other document filed on the land records throughout the state. The funds are then used to preserve agricultural land, provide grants to farmers to keep their farms viable, purchase land for parks, forests and other state conservation areas, historic preservation and affordable housing grants. 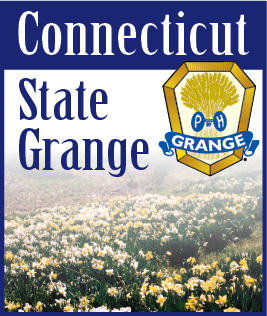 The Working Lands Alliance, of which the Grange is a member, lobbied long and hard to protect these funds. We have been reasonably successful so far, but we are waiting to see what is proposed in the budget presented to the upcoming special session of the General Assembly. State agencies, including the Department of Agriculture, asked the General Assembly for additional funding in their 2014-2015 budgets to cover unanticipated costs. The Finance Committee a hearing on these requests where each agency pleaded their case. After the agencies were done the hearing was opened to the for comment, but the only public present were all representing organizations connected through the Working Lands Alliance. In the end none of the agencies received any funds, but those of us who spoke feel our presence at the hearing will help protect some of the community investment act funds. One important bill that was passed and signed into law by Governor Malloy allows the Department of Agriculture to reimburse farmers who are leasing State or town owned land for up to 90% of the cost of implementing a farm resources management or plan provided the lease runs for at least five more. Over the years the State has purchased many acres of productive farm land and pasture which has since grown over into brush and trees because it was not farmed. The intent of this law is to bring what was once productive farm land back into usable land. Anyone interested in obtaining such a grant should contact the Department of Agriculture and reference Public Act 15-22. Similar grants for preserving or restoring privately owned land are authorized for up to 50% of the project cost or 20,000, whichever is less. The remaining big question is how money the Department of Agriculture will have available to fund these grants. Last year at State Grange we passed a resolution opposing people driving cars while animals were in their laps. An almost identical bill was filed in the State Senate this year and was referred to the Transportation Committee. I was the only person who gave testimony in support of this bill. The public hearing that day also included a bill concerning the restoration of tolls on major highways, so the hearing was well covered by the press. My testimony was picked up by the Associated Press and was reported by newspapers across the country. While the bill died in the Transporation Committee the Grange got more public mention out of the bill than we could ever afford to buy.